The Diplomat Hotel is located in Baguio City, Philippines. It’s one of the most haunted places around the area, which is already known for its spooks and ghost stories. It is now an abandoned hotel, but is still being visited by many tourists not only for its vast history, but because of the beautiful ruins. The Diplomat Hotel was actually a rest house and a seminary in 1911. It then became a school for a while, until it became a hotel in 1973. It has been said that during the World War, numerous nuns and priests have been killed and beheaded in the seminary, which is why people have claimed to see headless ghosts roaming around the area. There have been massacres with children as victims done in the fountain, which is also why many have heard screaming and children crying during the night. The World War has ridden this structure with bombs and many other things, to the point that it didn’t even look like a building at all. After the World War in 1947, it was reconstructed and then opened to the public as a hotel. It was owned by a businessman who was also a spiritual healer, with his patients checking in for his services as well. It was known for its beautiful design and large rooms, eventually becoming one of the famous and most-visited hotels of the city. But that doesn’t stop the incidents from happening! There has been a fire where many guests were trapped inside their rooms and died. A caretaker has even reported about a nurse who committed suicide near the cross. The owner died in 1987, from a heart attack in the hotel room itself. After his death, the hotel closed down, but still remains a great tourist spot and ghost hunting experience for those who are adventurous to roam around the hotel at night! Up to this day, though it has already ceased operations, people who live nearby would foten complain of the many noises they hear during the night. It is as if those who suffered throughout their stay in that building are still in agony, waiting to be let out. Many people still go there during the night to see if they would be seeing apparitions. 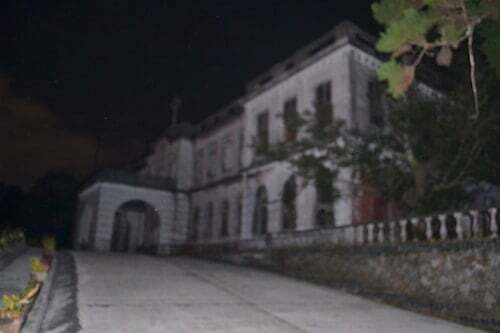 You would be able to find documentaries on the Diplomat Hotel, where many explorers are keen on finding out about the history and how this hotel became one of the most haunted locations of the Philippines. You would still hear many people report about their ghostly experiences when visiting the hotel, but nothing too serious and only the very scary banging of doors or cries during the night. Either way, it makes for a great experience if you happen to visit Baguio City anytime soon! You’ll be able to find out more about The Diplomat Hotel and other haunted spots around Baguio online.